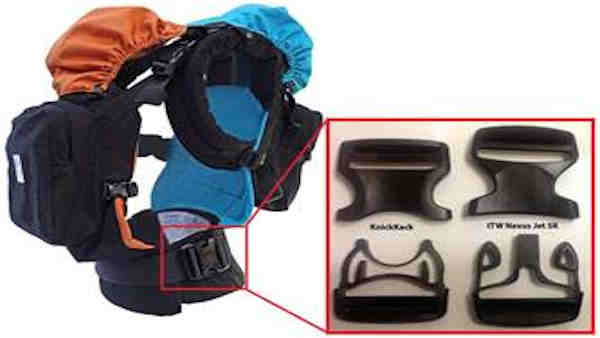 A baby carrier is being recalled due to a waist buckle problem. Four-thousand of the Twin Go Original Carrier have been recalled because the waist buckle of the baby carrier could break, causing the baby to fall. The Twin Go Original Carrier is an infant carrier designed to carry one or two babies against the caregiver's body at the waist. It is intended for babies that are from 10 to 45 pounds. An 11-digit batch number is printed on a label sewn to the waistband. Batch numbers included in this recall: 23014024003, 01515026003, and 21615019001. They were sold in fabric that is black on the outside and blue or orange on the inside. The item was sold at boutique stores nationwide and online at Amazon.com and TwinGoCarrier.com from December 2014 through May 2016 for about $215. Consumers should immediately stop using the infant carrier and contact TwinGo for a free repair kit. A free replacement buckle will be provided with instructions. A repair video is also available here. For more information, call TwinGo toll-free at 888-288-9342 from 9 a.m. to 5 p.m. Monday-Friday, via email atsafety@twingocarrier.com, or online atwww.TwinGoCarrier.com. Click on "Product Recall" at the bottom of the page.